The finale of the Hallelujah Hollywood show was amazing. 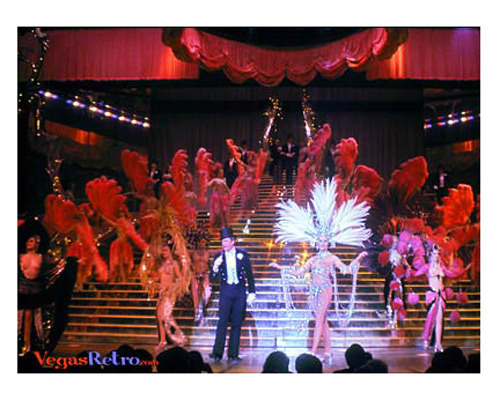 A tribute to the great Ziegfield (the MGM Theatre itself was named after him) with spectacular costumed showgirls coming down the "Grand Staircase". The theatre was designed for and by Don Arden, the shows producer so he could create just this kind of spectacular scene.